Have I mentioned that I am a huge coffee fanatic? I am. A HUGE coffee fanatic. I love it, though I only usually drink it about once a day, but I always look forward to my morning cup of coffee, two sugars and cream. 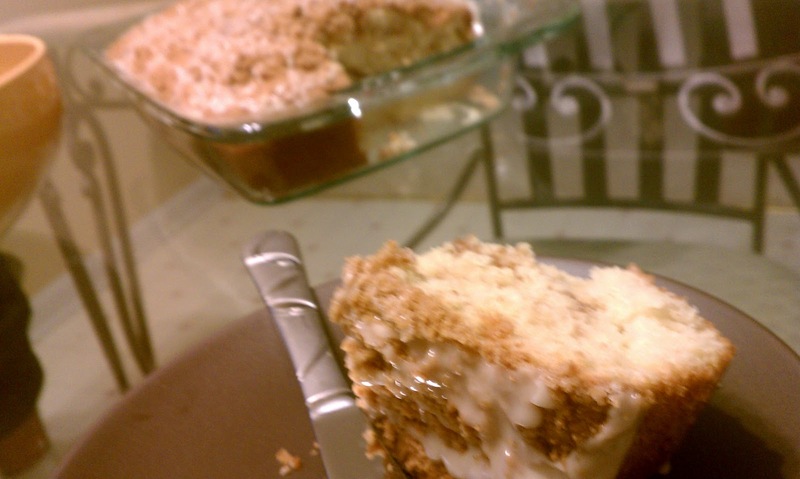 Of course, when I make a dessert that pairs well with coffee, I indulge in a few more cups than usual... Take this coffee cake for example, absolute heaven. And it tastes terrific with a cup of coffee, an added bonus! Preheat the oven to 350 degrees. Coat a 7x11 in. baking dish with cooking spray. In a large mixing bowl, cream together the butter and sugar. Add in the eggs one at a time and continue mixing. Mix in the sour cream, cream cheese, cinnamon, and vanilla. In a separate bowl, whisk together the flour, baking powder, baking soda, and salt. 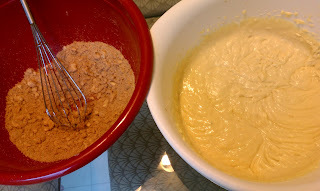 Slowly, add the flour mixture to the egg mixture and continue mixing until thoroughly combined. Set aside. For the streusel, combine the brown sugar, cinnamon, butter, salt and flour. Mix together with your hands until very crumbly. 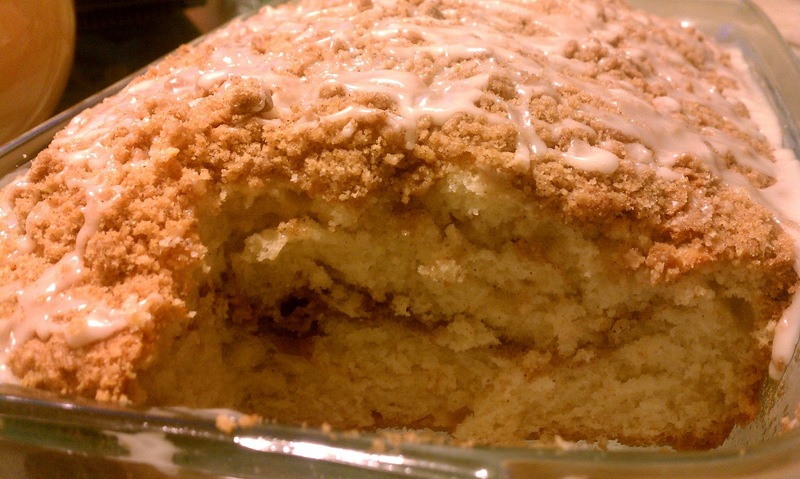 Begin assembling your coffee cake. 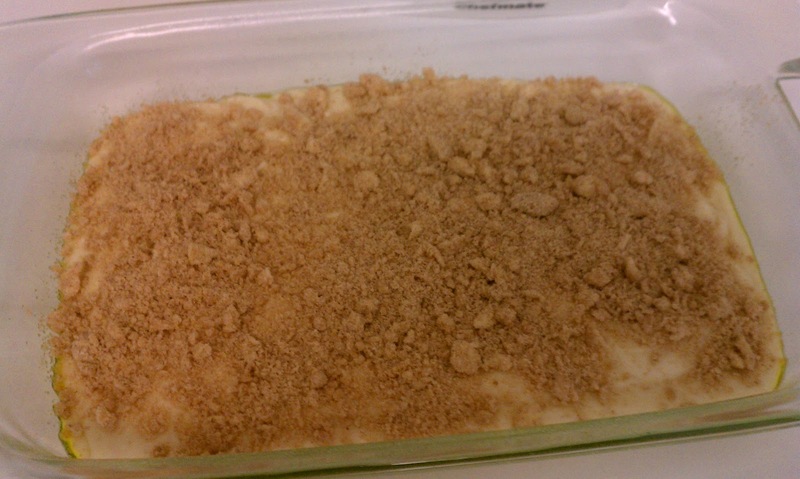 Pour half of your cake batter into the bottom of the baking dish. Top evenly with half of the streusel. Make a second layer. 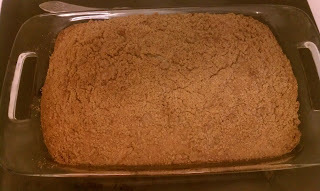 Pour remaining batter on top of the streusel layer. 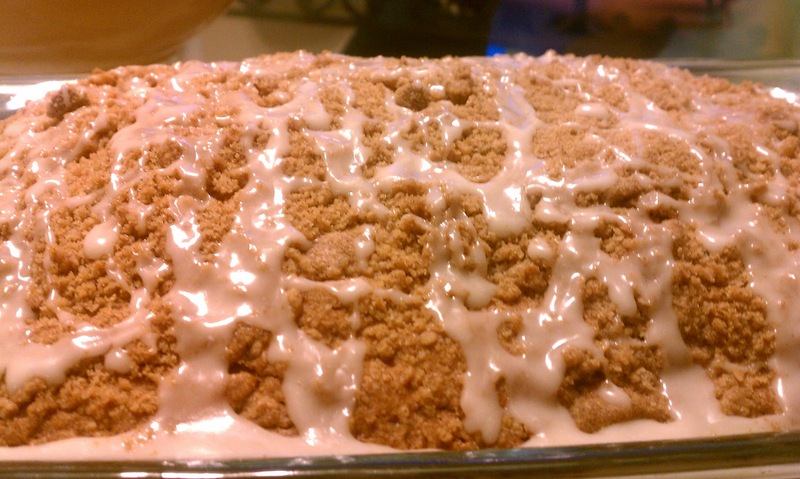 Finish off with the remaining streusel on top. Bake in the oven for 45 minutes to 1 hr or until knife inserted in center of the cake comes out clean. let cool completely. While your cake is cooling, make your glaze. In a small bowl, combine the powdered sugar, syrup, water and vanilla. Whisk together and keep adding water a tsp at a time, until you've reached your desired consistency. (Note: It should not be too thin!) 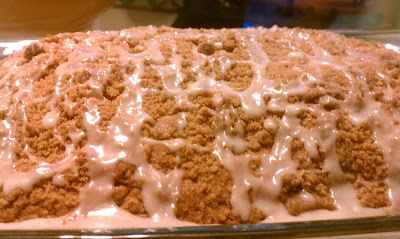 Drizzle atop of your coffee cake. Serve with hot coffee if desired and enjoy! Makes 10-12 servings.